Mosaic. The faces of St John and Virgin Mary are said to be serious as they are asking Jesus to forgive. The gardens,columns, arches and mosaics speak across millenia. 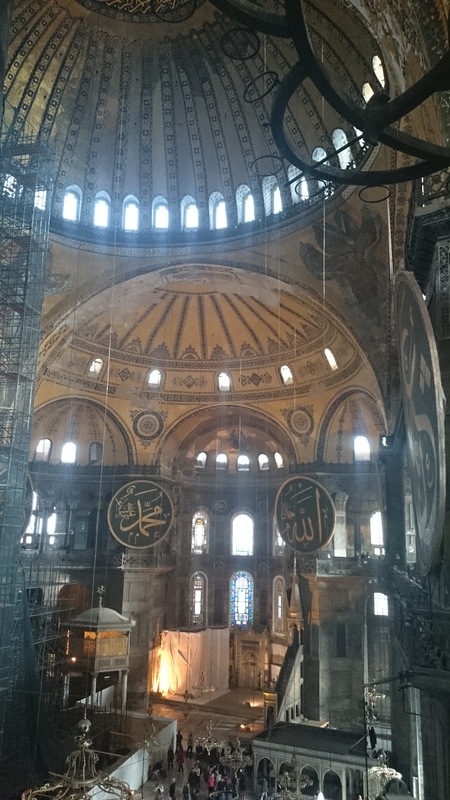 The spirit of places like Hagia Sophia is difficult to convey in words. The walk up the ramp which has stones of antiquity was a reminder of the shortness of human physicak life. The weeping column (number 30 on the audio guide ) has many interesting legends associated with it. Maintining a separate journal diary of these visits is an interesting way to gain perspective. So I turned the pages to October 2006, when I had visited a Byzantine church in Eastern Libya which has mosaics , one of which depicts the ancient lighthouse of Alexandria. What is it in us that seeks out these walks through time. 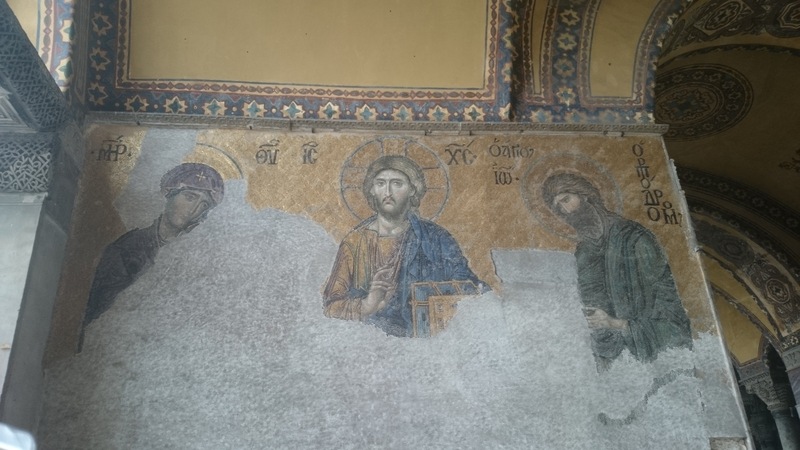 As I walked around this area saw a building between Hagia Sophia and Hagia Irene which is the only remaining building site of the 24 hospitals for the public mentioned in records. The Eye department of this hospital was said to be particularly well developed. Got to mention this to my Ophthalmology friends. 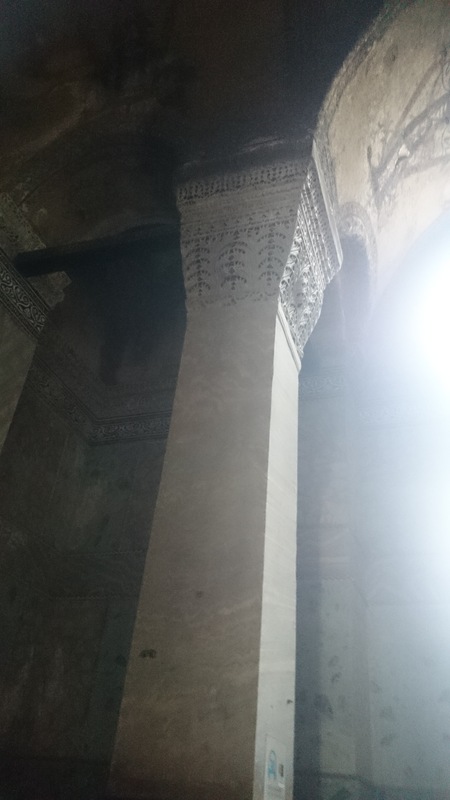 This entry was posted in life and tagged Diary, istanbul, Walks. Bookmark the permalink.